There is nothing grosser than cleaning out a car seat or stroller after diaper failure or a toilet training mishap. I used to line my kids' car seats with burp cloths in the hope that the inevitable mess would not soak through, though it almost always did. The day I discovered the Piddle Pad , my complicated upholstery-laundering days drew to a close. This brilliant little seat liner is padded, comfortable and has a completely waterproof backing. What this means is that it absorbs the mess and does not leak!!! 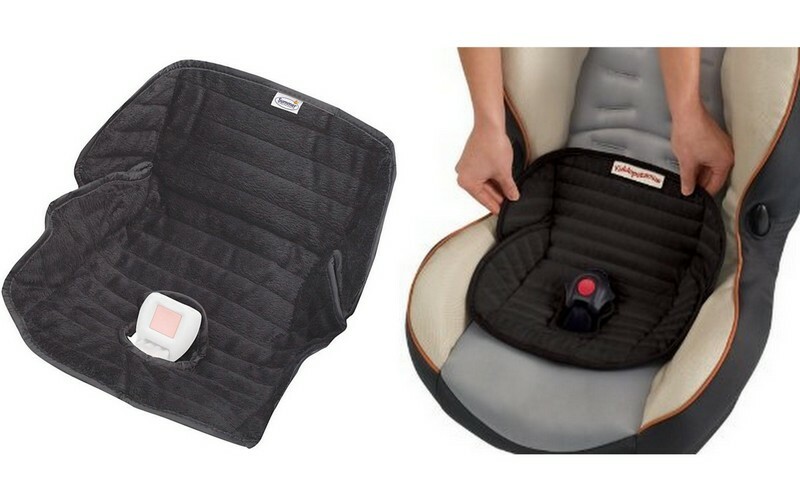 The Piddle Pad works with any type of three or five point harness and can even be set into booster seats for older kids. It is machine washable and will air dry overnight. Note: you may notice that the two liners pictured above have different tags. The Piddle Pad used to be sold by Kiddopotamus and is now sold by Summer. Same product, different tags. $9.11 at Amazon , with free Prime and Super Saver shipping! Oh My Goodness....this is just about the most PERFECT thing ever!! This is the best product I have seen in a long time! Thank you!